Albert “Walter” Ayers, Jr. Passed away on January 27, 2019 due to pneumonia complications after a long battle with dementia. The first son born 5/30/1934 to Iverene and Albert Ayers in Lewistown Montana. Born a Jr. he was called by a couple of different nick names. When he was very young, he was called Sonny by friends and relatives; later in his twenties his friends adjusted “Sonny” to “Sunshine Ayers” due to his loud and boisterous personality. Born in the height of the depression years, Sonny and his siblings became acquainted with hard work early in life. At fourteen, Walt decided to quit school at the eighth grade level and struck out on his own to find work and pay his own way. His first job was a cook for a sheep-herder in the mountains of Montana. At eighteen, he was drafted into the Army where he was given para-trooper training and then sent on to Korea where he worked as a medic in the Korean War. After his release from Korea, Walt returned home to Montana and fell hard for his little sisters best friend Margie Loebs who lived a short bit from Lewistown in the small town of Grass Range, MT. They dated for a short time and he soon whisked her off to Van Nuys, CA where they eloped on April 14, 956. Over the next ten years, Walt worked in several copper mines in Utah and Butte, MT. In 1966 Walt and Margie moved to Kalispell, MT where they had the last of their five children. This is where he settled his family for the duration of his years. The work he found in Kalispell was varied from pulling plywood at the C&C Plywood mill, to selling Kirby Vacuums. In the early 1970's he took on logging in Alaska and in Montana. An accident in the woods of Montana, left him with a badly broken leg. Saying he was “kicked by a tree” that left him with a broken femur and on crutches for a year. A very hard position to be in with a wife and five small children. Deciding to go back to school, he took night courses at FVCC and received a degree that he put to use with his new found passion in woodworking. Now able to become his own boss as a building contractor. Early projects were horse barns, built for many of the valleys doctors to pay back his medical bills. His building expertise evolved past barns into spec houses, garages, remodels, etc. All of his children worked for him from one level or another over the years and each were taught the value of hard work. After retiring, Walt kept himself busy building and selling storage buildings and then later dog houses when the storage buildings got to be too much. Anyone who knew his expertise knew that what he built was always square and always quality. He would stake his reputation on it. A born story teller, he loved being the center of attention, making people laugh telling jokes and tall tales. He loved being outside, fishing, hunting and going on motorcycle rides. He loved playing pool, was a member of the Eagles and enjoyed his friendships. Walt was very proud of his children. Telling anyone who would listen, “There wasn't a throw back in the bunch.” We will all miss the vivid baby blue of your eyes dad. Walt has one surviving sister Rosetta Burke of Columbia Falls who was always there to lend a little sisters perspective, and to be a loving and helping hand throughout the later years of Walt's life. She was a god send to all of Walt's children. Thank you Aunt Rosie. Surviving children are Jordan Ayers with wife Roxane of Tuscon, AZ., Shaun Ayers of Las Vegas, NV., Ramona “Mona” Woods of Kalispell, MT., Laird Ayers with wife Paula of Kalispell, and Roxy Iverson with husband Kevin of Kalispell, MT. Grandchildren are Eric Ayers of Anchorage, AK., Tiffany Ayers of Kennewick, WA., Tony Woods and wife Brandy of Kalispell, Nathan Woods and wife Nichole of Kalispell and Drew Iverson of Missoula. Great Grandchildren are Daniel Woods, David Woods, Nathan Walter Woods and Braylee Woods all of Kalispell, MT. Preceded in Death by his loving wife Margie, Mother, Iverene Triepke, Step Father Fred Triepke, Father Albert Ayers, brothers, Kenny Ayers, Tom Ayers, Don Ayers and Son in Law Dan Woods. 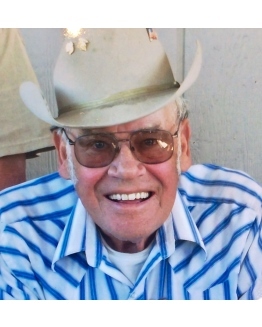 An Inurnment Service will take place Friday February 8, 2019 at 2:00 PM at Conrad Memorial Cemetery; Followed by a Celebration of Life & Reception also Friday February 8, 2019 at 3:30 PM at the Eagles Club in Kalispell. In lieu of flowers a memorial is suggested for Edgewood Vista Assisted Living in Evergreen.